Shannen Kids provides full day care program for children between the age group of 1 to 10. The program schedule includes schooling in the morning till 12 and Art, Craft, Dance, Karate, Yoga etc in the afternoon program. The full day care program has been designed to provide a facility for parents who like to see their child be comfortable and safe, while they are at their workplaces. It allows mothers to return to their workplaces without compromising on the quality of care and love their little ones get. 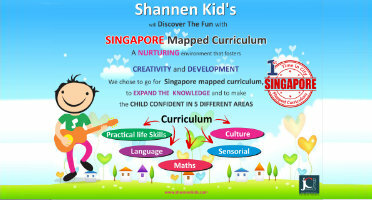 We at Shannen Kids strive to ensure that we gave a safe, healthy and nurturing space for children to learn and grow. Daycare operates from 8am to 5pm with different time slots.